Easter is a really fun time for our family. In fact, this year we already had our first Easter egg hunt with extended family. This weekend we will be going to our church Easter Egg Hunt, celebrate the next day at church, and then have our second family party. It's a busy time, but also a memorable time. 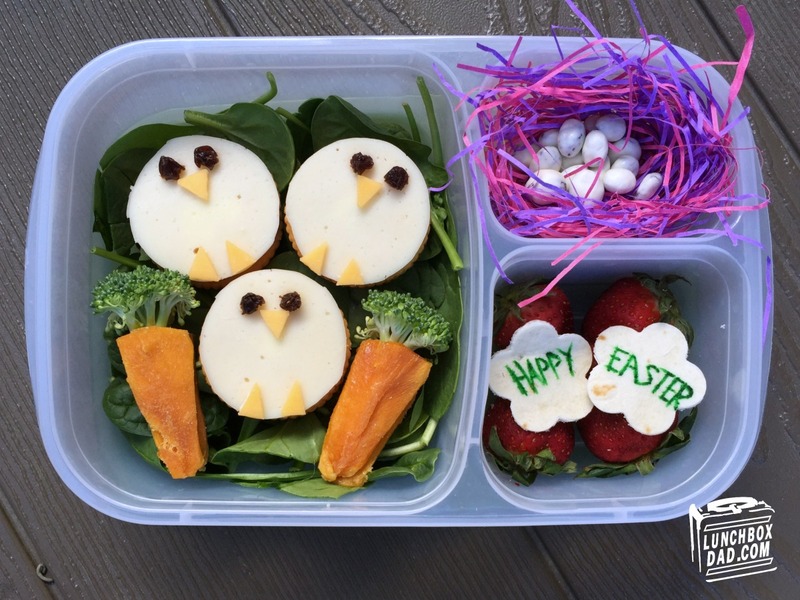 I thought I would kick this week off with a fun, but simple, Easter lunch. 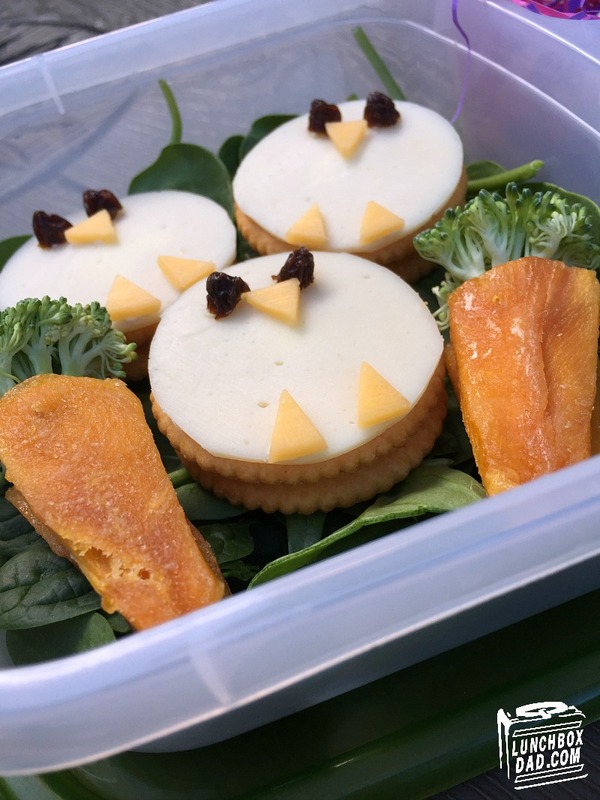 The chicks are actually little cracker sandwiches and the carrots are...something else entirely. The lunch is made in an Easy Lunch Boxes container. 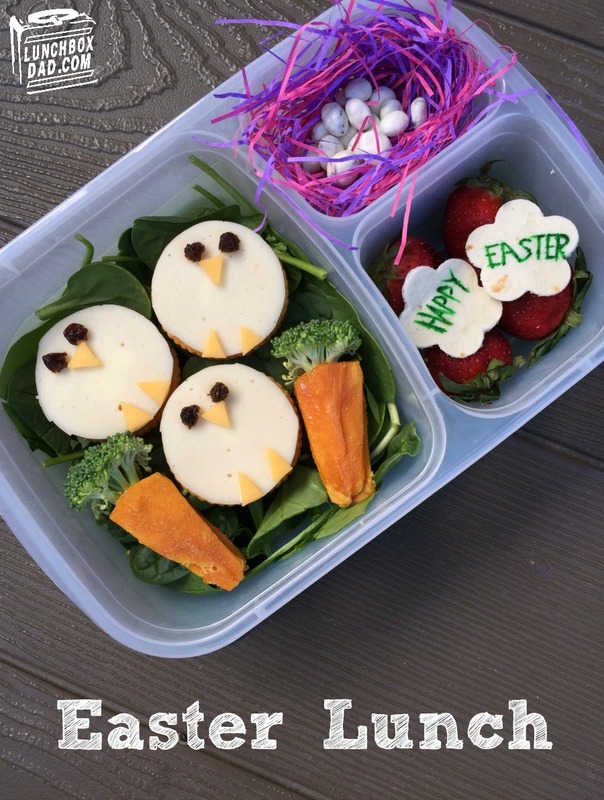 I hope you have a happy Easter and if your kids need a snack this week, try this one out! 1. 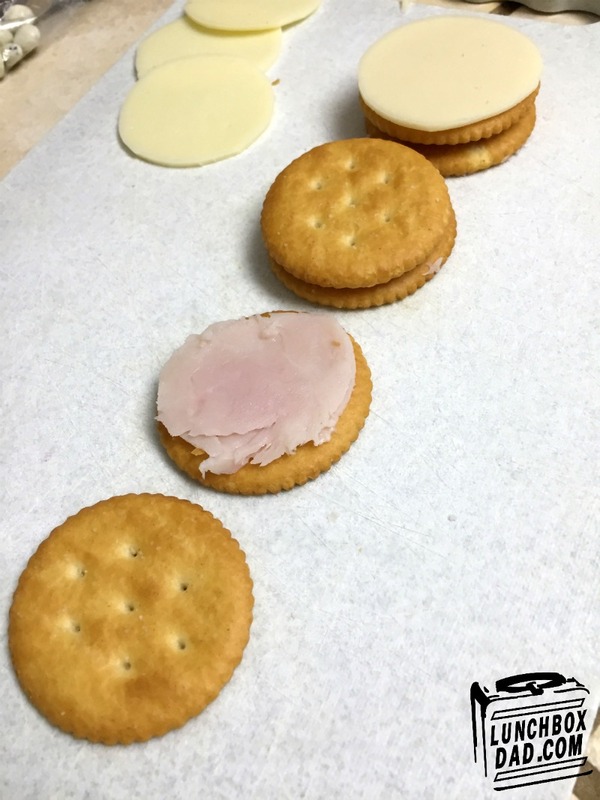 Using your circle shaped crackers as a guide, cut circles from your meat and cheese. Make little sandwiches as shown in the picture below. 2. Cut triangles out of cheddar cheese and slice raisins in half. Place them on the white cheese for facial features. Use dabs of cream cheese to hold all the pieces together. 3. Cut dried mango into four triangle shaped pieces. Put a piece of broccoli between two pieces. Use a toothpick to hold all three pieces of food together to form a carrot. Repeat to make a second carrot. 4. Use spinach as a background in the main dish. Place chicks and carrots in the main dish. 5. In side dish place a wad of Easter grass. Push down on the middle to form an indent. Place yogurt covered raisins in the indent. 6. In second side dish put strawberries. Use flower cutter to make tortilla flowers. Write "Happy Easter" or something similar on the two tortilla flowers. Place flowers on top of strawberries.